Most people know how to make this easy and tasty breakfast, but surprisingly I still sometimes get asked how to make huevo con chorizo. Here are my step-by-step photos taken over breakfast this past weekend in case you’re not familiar with this dish. 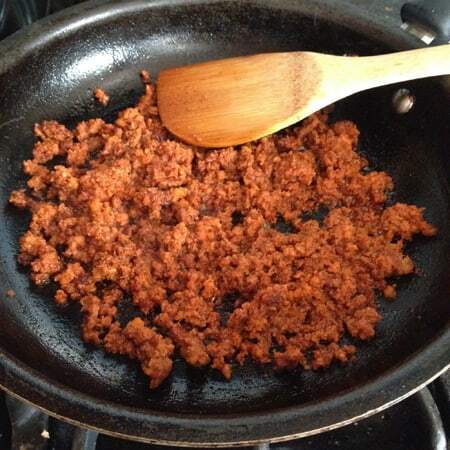 Cook the chorizo in a hot skillet. How much or how little is up to you. I usually make extra and save it to use during the rest of the week. Normally, I drain all the grease from the chorizo after it’s done cooking by placing it in a dish lined with paper towels. But with this dish, I like to use just a little bit of the grease for additional flavor. 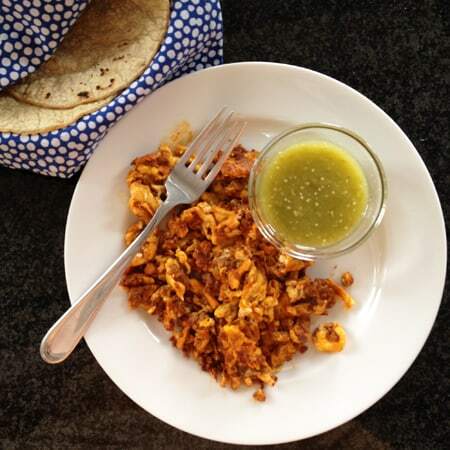 If you prefer to drain the chorizo completely, that’s OK.
Heat a second skillet and scramble some eggs. I suggest two eggs per person, which should make about three tacos. 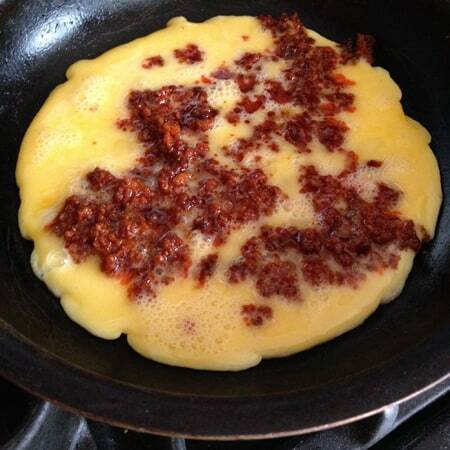 Add the scrambled eggs to the skillet and about 2-3 tablespoons of chorizo or more if you like. Scramble them up! Serve with tortillas and salsa. I prefer salsa verde, but you can use whatever kind of salsa you like. 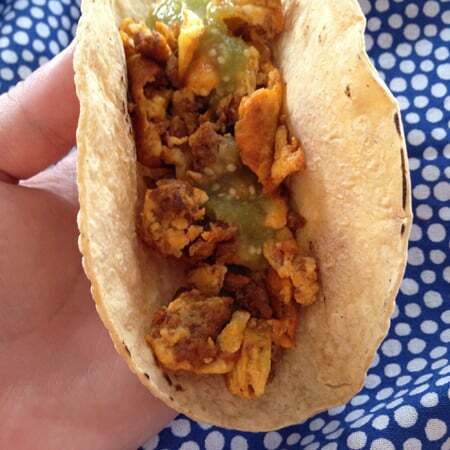 And there you have it—how to turn huevo con chorizo into yummy breakfast tacos.